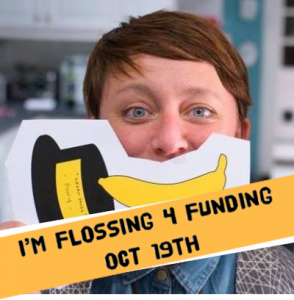 Get flossing4funding on Friday 19 October! 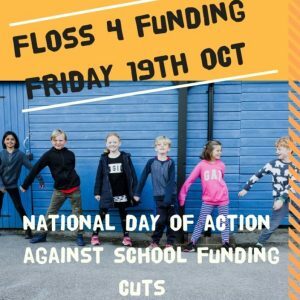 On 19 Oct, people all over the country will be taking action against school funding cuts : we’re flossing 4 funding. You can join us! Toolkit of useful resources below. We will show Phillip Hammond, Nick Gibb and Damian Hinds just how many parents, carers, and grandparents, like heads, teachers and governors, are deeply concerned about the school funding crisis and the damage it is doing to our children. 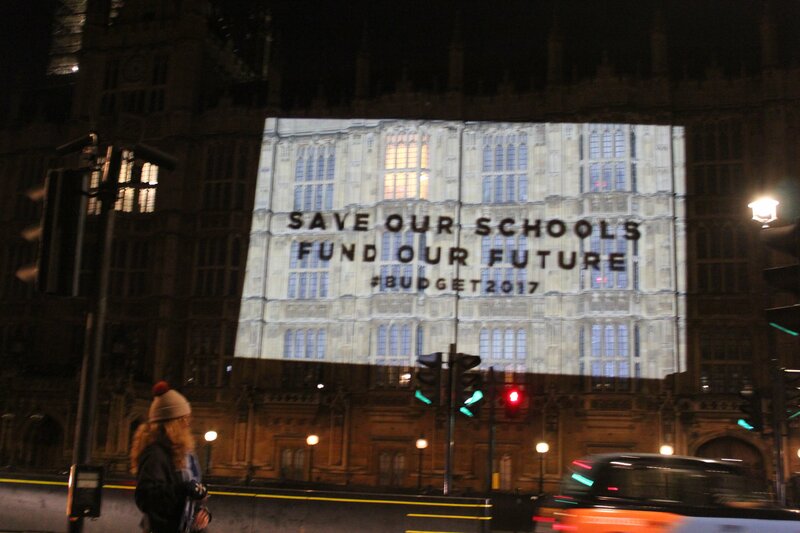 Tell the Chancellor #budget2018 must fund our schools properly and undo the damage. The action will take place on Friday 19 Oct – it doesn’t matter if its morning, afternoon, night, but it will have more impact if it is all on the same day. Get parents, teachers, kids ( or friends, family, sports team, or work colleagues) together – in a playground, staffroom, on the train. Get creative! 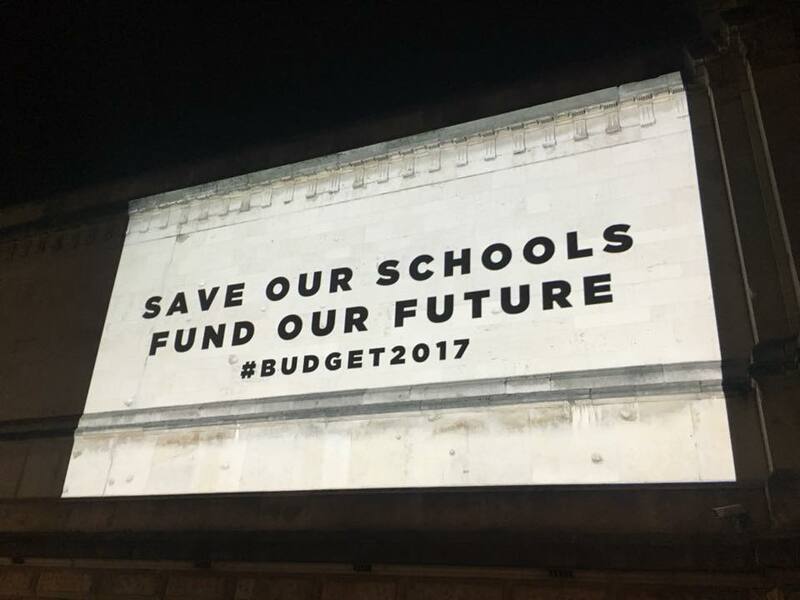 [insert school or local authority name here] parents say: 8% cuts to pupil funding since 2010, our schools and children are suffering. Listen to parents and pupils. #budget2018 must fund our schools properly and undo the damage. Make sure that Philip Hammond, Damian Hinds, Nick Gibb and your local MP see your floss by tagging them. Start telling other people about Floss4Funding on Friday 19 October and get practicing your floss! You can share this video to raise awareness – but if you are using facebook, please share the version on our facebook page as it will get shared much more widely. 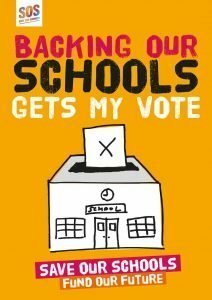 A brilliant video from Save Our Schools West Sussex to share. Get one of these on your social media profile to tell the world you are flossing for funding. And finally – you can tell local media about your Floss4Funding with this Customisable Press Release – Day of Action 19 October Don’t forget to customise though! Good luck! And most of all please remember to post your floss online on 19 Oct! On 28th September over 1,000 headteachers will march on Westminster to ask for more funding. When headteachers revolt, things must be bad. Here we share the letter that has gone out to tens of thousands of parents across the country in full. 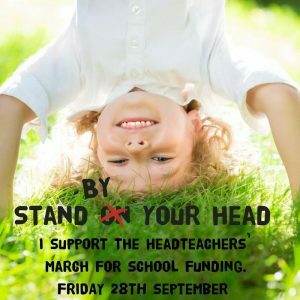 We stand with all headteachers marching on Friday. Show your support by sharing this image on social media or making your own – details on hashtags etc below. I am making contact to let you know that on Friday 28 September, I will be joining hundreds of other Headteachers from across the country in support of a mass event intended to gain much improved funding for all schools. Headteachers will have the full support of their Governing Bodies/Trusts as we continue to champion the best possible funding for all our schools. I will remain steadfastly determined, relentlessly reasonable and act without any political bias. These have been the hallmarks of our campaign work to date. You will be aware of the challenges that schools up and down the country are facing. A mixture of rising costs and stresses on other support services has meant that for many years we have been being asked “to do more with less”. Under a challenging period of austerity for the Government we understand that there is not a bottomless pit of money. Accordingly, schools have played their part to work even harder and with greater efficiency on behalf of the children and families that we serve. It is clear to all Headteachers, however, that matters are unsustainable. Frequently, we do not have enough money to meet the demands placed on our schools. On the ground, services and resources are cut to the bone and class sizes are increasing. At times, schools are even having to prop up our budgets with monies that should be targeted at those students from the most disadvantaged backgrounds, or those that have Special Educational Needs and Disabilities (SEND). Under the umbrella of the campaign group ‘Worth Less?’, Headteachers have shone a light on the funding difficulties that we are facing. We acknowledge that the Government should be given credit for introducing a new National Funding Formula. Unfortunately, however, the formula itself is not adequately resourced/funded and therefore our budgets remain in an unacceptably poor state. In July, the Institute for Fiscal Studies echoed what we have been saying for a long time and confirmed that, in real terms, school budgets have been slashed by 8% since 2010. 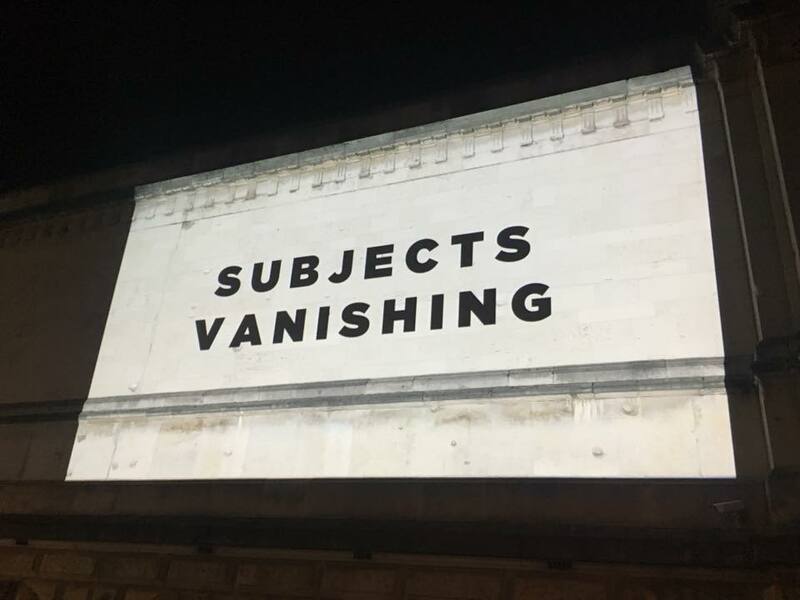 It is simply not good enough for the Government to state that “more money is spent on schools than ever before”, when independent evidence clearly states that in real terms, this is simply not the case. Headteachers will gather at Downing Street to insist that the chancellor and his colleagues at the Department for Education use the upcoming autumn statement to invest properly in our schools and your child’s education. Many of the real terms cuts to our budgets should be reversed and urgent investment is required for SEND and post-16 budgets. The support that we have enjoyed from parents and carers has been very welcome and we will continue to update you on all of our forthcoming actions. We are determined to campaign until a much better and fairer settlement is reached in order to support your child/children and the future prosperity of the country as a whole. Its scary to hear, and scary for heads to be taking this radical step. Lets show our support. Share the image above with the message below to show we are united in standing up for our children’s future. 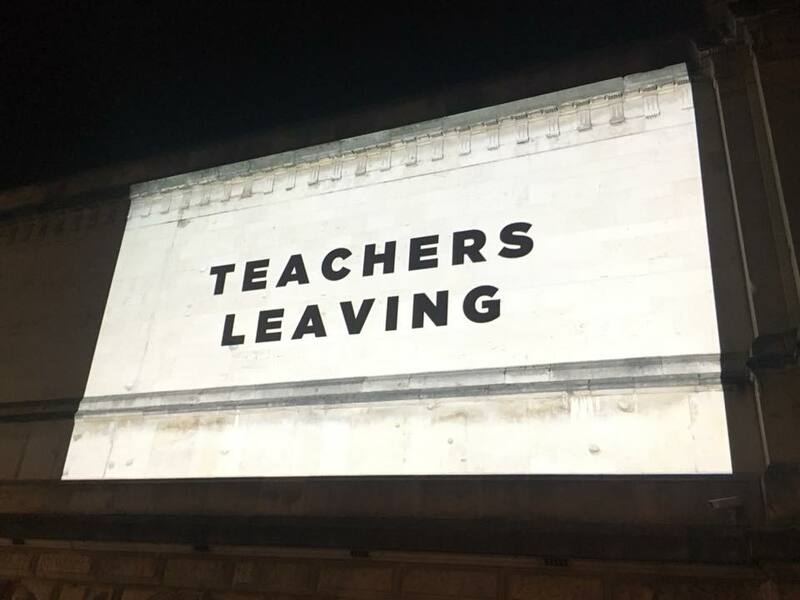 Save Our Schools (SOS) Brighton & Hove is today launching a citywide callout to teachers and parents to share their stories revealing the true cost of underfunding in the school system. Watch our film about the impact of cuts and why it is important to speak out about them. We have already unearthed stories of sick teachers not being replaced by qualified staff; experienced teachers priced out of the classroom in favour of staff on lower pay grades; and of the parents of a child suffering from debilitating anxiety who were told he is not high need enough to access much reduced counsellor provision. Many more stories are expected to emerge over the coming weeks and months, read them here and share your own story. #CutsTheRealStories comes in response to the discovery that teachers are caught in a Catch 22 situation when faced with the decision about speaking out or staying quiet about the state of their schools as a result of crippling funding cuts. Last year we conducted a survey of 50 schools across Brighton & Hove to find out how they were coping with the cuts. You can see the results in the Catalogue of the Cuts . 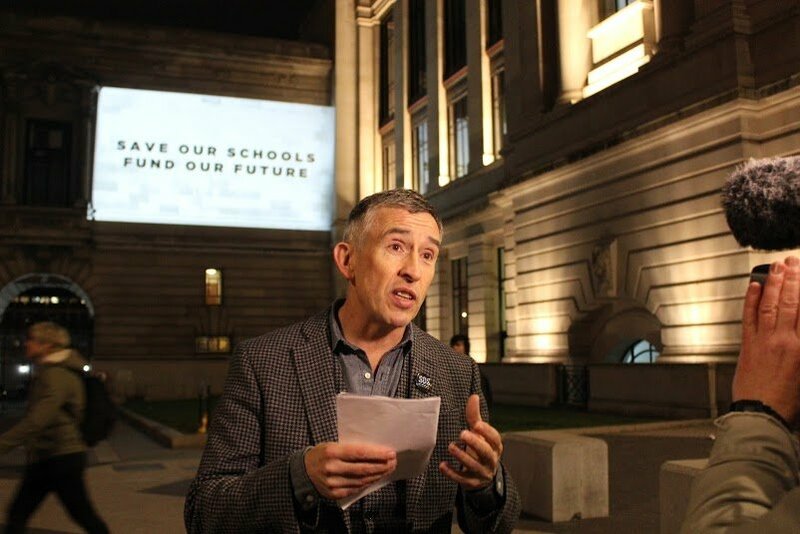 The findings completely contradicted Government rhetoric claiming that schools were better funded than ever, yet when Save Our Schools asked Headteachers to comment they found many were too afraid to speak out about for fear of reprisal. 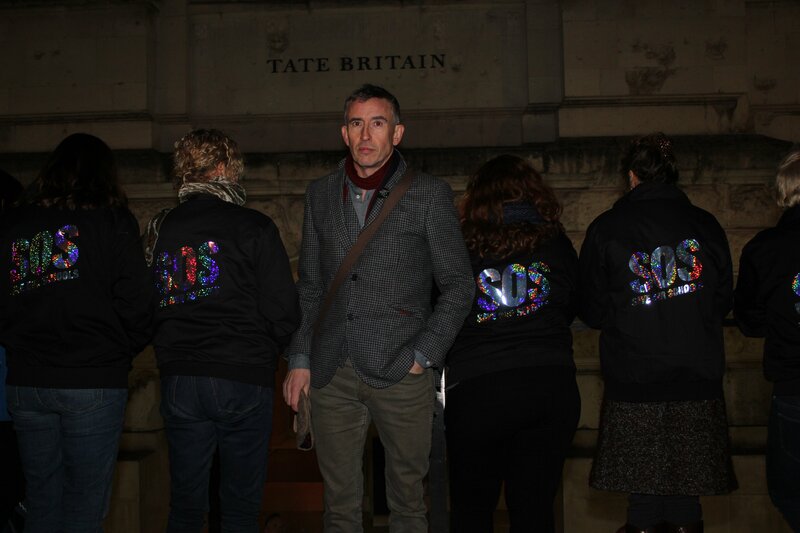 Save Our Schools are encouraging anyone who has a story to tell about the impact of the cuts to speak out – whether anonymously or not. The only way the Government will acknowledge the extent of the crisis is by schools, parents and pupils speaking out and sharing the stories that the Government doesn’t want us to hear. Share your story now. 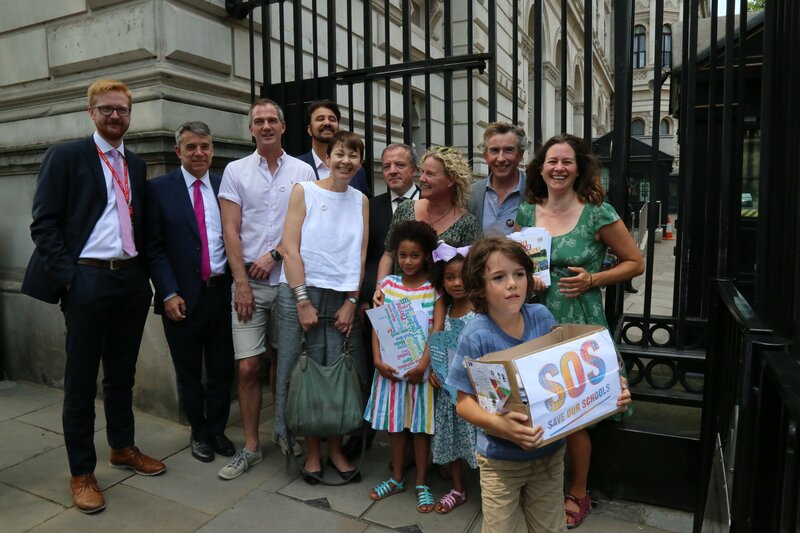 This week headteachers descended on Downing St, politicians continue to raise questions in parliament and we parents are once again taking to the streets. We all are sending the same message: Our schools are in crisis due to chronic underfunding. 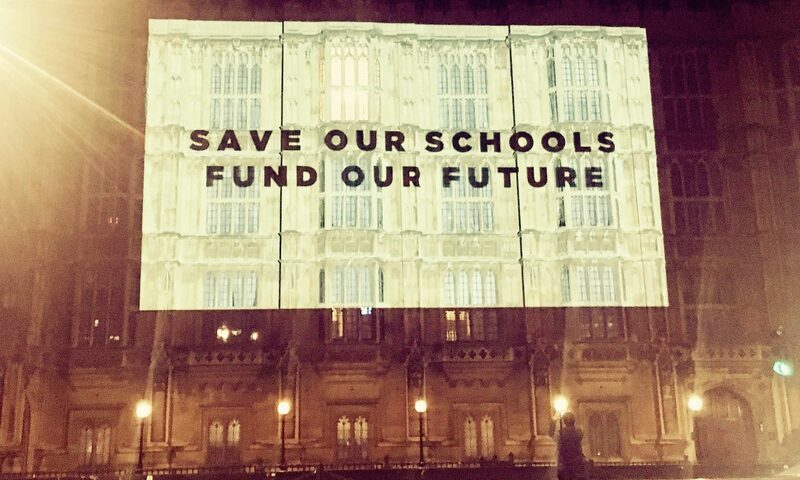 The chancellor needs to take steps to address the crisis – Save Our Schools – Fund Our Future. When challenged about school funding at Parliamentary Questions this week, Teresa May continued to deny that there was a crisis in education, instead wheeling out the same old line about record levels of funding. Our catalogue of the cuts [LINK] exposes the truth behind that rhetoric. It tells a sobering story of staff cuts; building work cancelled; arts, music, sport and mental health provision slashed. As Jeremy Corbyn pointed out in Parliament, 5000 teachers from 25 counties [https://www.theguardian.com/education/2017/nov/12/headteachers-philip-hammond-schools-national-funding-formula-tories] wrote to the chancellor this week in a hand- delivered letter asking for the money that is being taken out of the system to be returned. They warned of cuts to resources, soaring class sizes and narrowing of the curriculum. We know that the much cited “additional funding” of 1.3 billion which was found from within the education budget does not address the funding crisis. The Institute for Fiscal Studies reported that all this additional funding does is to reduce the real terms cut from 6.5% to 4.6% between 2015 and 2019. 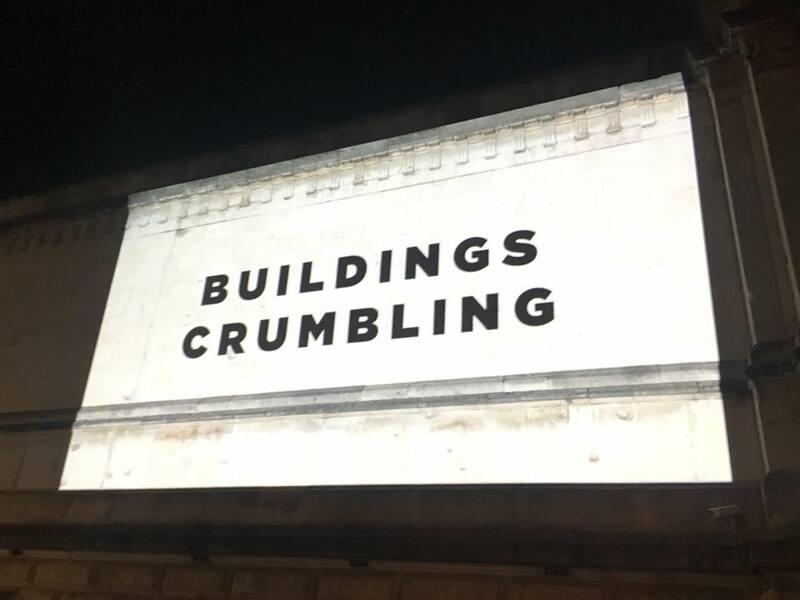 Teresa May claimed in parliament that she is building a Britain fit for the future – but with schools crumbling, teachers leaving, headteachers marching on downing street and education in crisis, we wonder whose future? By taking money from our childrens’ education they are stealing futures, not building them. Our country faces an uncertain future, our children will shape whether we grasp that future or are overwhelmed by it: will we continue to play a major role on the world stage through our innovation, our entrepreneurialism, our industry and our creativity whether in science, technology, music, arts – or are we doomed to stagnation? The future generation will determine this. Now is not the time to be making cuts to their education. 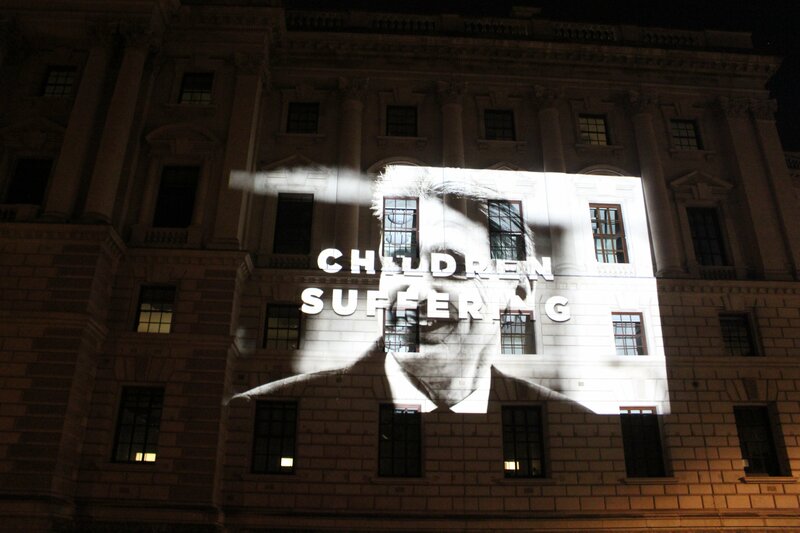 Come on Phillip Hammond: Fund their future, fund our future. We are collecting your stories about the impact of cuts that schools have been forced to make as a result of lack of funding on children, school staff and their families. We are a rapidly growing parent-led group, based in Brighton and Hove, who are campaigning against the massive funding cuts to education. Heads and teachers have been protesting these cuts and the other damaging changes to our children’s education alone. Now parents are joining them. Together we will stand up for the best possible education for our children.